1590. An English ship approached the shoreline of Roanoke Island as a think fog began to creep over the water and nightfall was beginning to set in. It had been three long years since John White, governor of Virginia had set foot in the New World… three years without knowing whether his family and newly born granddaughter, Virginia Dare, were safe. The following morning White and several crewmen set out towards the shore. He called out… but with no reply. The only evidence of habitation to be seen were footprints left on the beach. Barefoot. An ominous sign, as the English never went without their shoes. After finally making his way to the north of the Island. White found what used to be the location of the Roanoke Colony… completely abandoned. Disassembled. Its inhabitants vanished off the face of the earth. To this day the unknown fate of the Roanoke colonists has endured as one of America's most fabled mysteries. 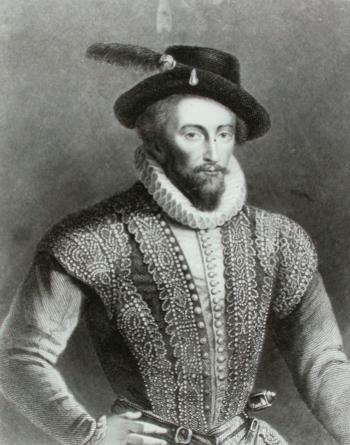 However, the story really begins with explorer and diplomat Walter Raleigh. Raleigh was born into a well-connected gentry family at Hayes Barton in Devon in around 1552. He attended Oxford University for a time, fought with the Huguenots in France and later studied law in London. Rayleigh has also been credited with popularising tobacco in England, brought as a present to Queen Elizabeth as a trophy of his dealings in the New World, although he himself never set foot there. Raleigh first came to the attention of Elizabeth I in 1580, when he went to Ireland to help suppress an uprising in Munster. He soon became a favourite of the queen, and was knighted and appointed captain of the Queen's Guard (1587). He became a member of parliament in 1584 and received extensive estates in Ireland. Shortly after their return, Rayleigh’s half-brother Gilbert passed away, unfortunately drowning on his way back to a fishing colony in Newfoundland, but not before setting in motion the idea of establishing a Colony in the new world. It was Gilbert who was the one that arranged with the monarchy to make this happen. His brother then stepped in to fulfil this quest. On March 25, 1584, Queen Elizabeth I granted Raleigh a charter for the colonization of the area of North America. This charter specified that Raleigh needed to establish a colony in North America, or lose his right to colonization. The first expedition took place in 1584. Rayleigh himself never stepped foot on North American soil but he officially ‘led’ the expeditions. The first trip was overall successful and positive relationships were established with the coastal indigenous peoples. 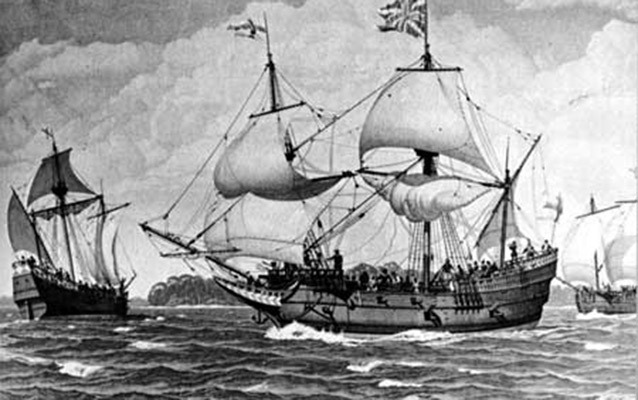 It began when a lone Native man bravely approached an english ship led by Arthur Barlow and Philip Amadas, in the first instance of contact recorded by the English. The English sailed down to the Canary Islands and then on to the West Indies, where they stopped for food and water along the coast before sailing north along the eastern shoreline of Florida. After eleven days they came to shallow water and smelled "so sweet, and so strong a smell, as if we had been in the midst of some delicate garden," indicating that land was nearby. Two days later (July 4), they saw the coast and continued to sail for 120 miles until they could find an entrance or river going in from the sea. They finally landed on the outer banks of what is now the Pamlico Sound of North Carolina. Barlowe described the land as a place where "in all the world the like abundance is not to be found. The two North American native men returned to Roanoke among the second expedition financed by Raleigh and his brother to southern Virginia. Upon their return home, the two men’s place in history diverges. Manteo, a Croatoan serving as an interpreter and guide, fulfilled Raleigh’s hopes for him by helping the English establish friendly relations with the local tribes. 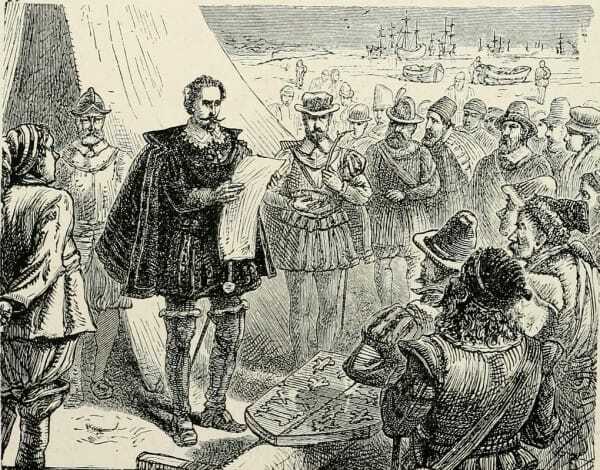 Wanchese immediately rejoined his people on Roanoke Island. One can only speculate about the reasoning behind his decision: he may have felt ill-treated by the English or resented Manteo, who was from a different tribe and higher status. Or possibly Wanchese, after his visit to England, saw in the colonists a serious threat to his people, who, unlike Manteo’s tribe at Croatan, would be neighbors to the English and competitors for the island’s limited resources. Speculation aside, Wanchese returned to the Roanoke and is not mentioned again in the English record. The second expedition was led by Sir Richard Grenville, a total of seven ships departed from England. This trip would be characterized as overall a negative experience in the new world, although this seems to have been brought on by Grenville, being a easily angered man. He was a privateer and had a pirates brash mentality, and was confident in his methods operating for Elizabeth I under the English crown privateering and establishing ports in the new world from which to operate. Grenville and his crew were known as the Sea Dogs of the Queen to most. 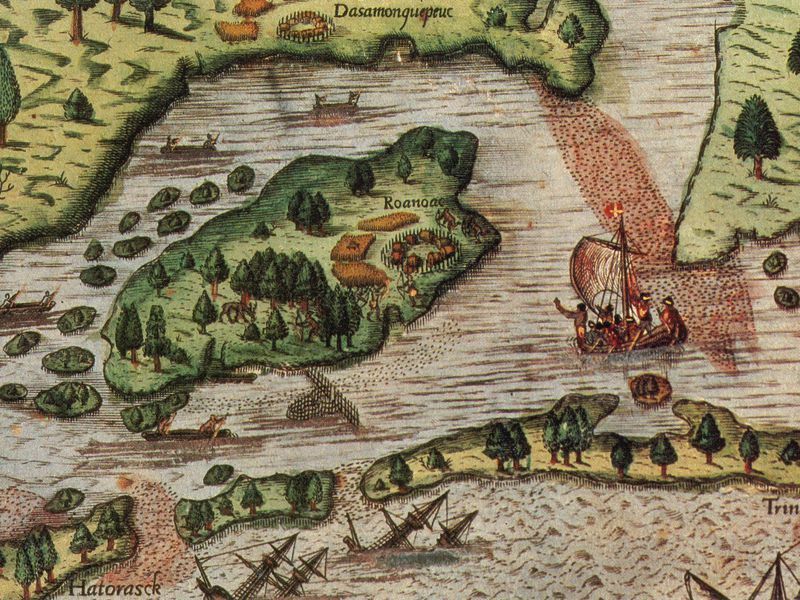 In one instance, a misinterpreted exchange took place and the privateers accused the Roanoke of stealing, and in return burned down their entire village and crops. Needless to say relations had bittered by the time winter set in. Grenville had returned back to England, but his men under Ralph Lane’s leadership struggled to survive the brutal North American winter, and their dependency on the Roanoke people was quickly stifled by the chief’s decision to move his people off the island were the colonists had established themselves. Grenville’s men became bitter, and their experience made them want to seek vengeance on the natives who they felt had abandoned them. They ambushed the village and beheaded the chief. It appeared as though Walter Raleigh had entrusted his colonization plans to the wrong group of people. 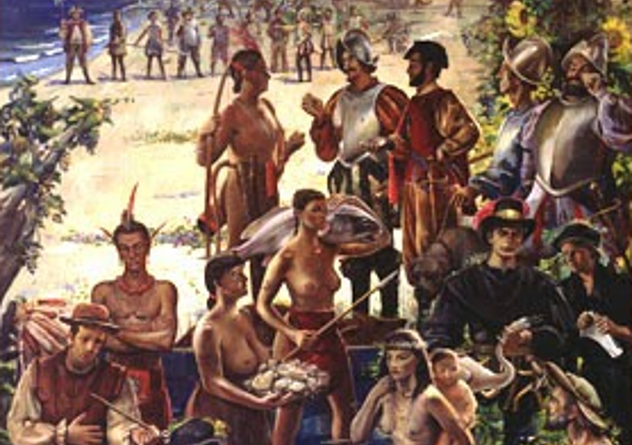 His third attempt came in July 1587 when 117 settlers, a mix of people from various walks of life set out from England tasked with the job to form the first English colony in the new world. Noblemen, as well as tradesmen, women with skills were led by Appointed governor John White, He was among those who sailed with Richard Grenville to the shore of present-day North Carolina in 1585, acting as artist and mapmaker to the expedition. He was accompanied by his daughter Daughter Eleanor White who was pregnant, and his son-in-law Annanias Dare. Interestingly, the colonists were actually supposed to land and establish the colony closer to Chesapeake bay, as all the settlers were promised 500 acres of land along the shores of this new land. First, however, they were to pick up the remaining 15 men left by Grenville at Roanoke. Chesapeake was a much more suitable bay that was supposed to be the site of the colony, but the leader of the expedition, Fernandes, was more interested in privateering that assisting the colonists, and refused to take them any further up the coast to Chesapeake Bay. His motives are debatable, as in some accounts (such as the case put forth by Lee Miller) Fernandes did not do as he said he planned to but rather sailed straight back to England without engaging any Spanish ships along the way. Fatally, the colonists were instead dropped into the middle of a hornets nest of conflict between settlers and people of Roanoke after stopping there to retreived the 15 colonists left there previously. But when they arrived they found the fort completely destroyed and one lone skeleton nearby on the island’s shore. Grenville’s men had vanished. The settlers had been dropped into a world already tainted by previously fouled expeditions. Violence and danger awaited them in the nearby forest from neighbouring Indigenous groups who had been attacked and provoked by the English. Food was scarce, disease was setting in and finally they pleaded with John White to return to England for supplies and support. He reluctantly accepted the pleas of the colonists, but upon his return he found the country in the grips of preparation for war with Spain. 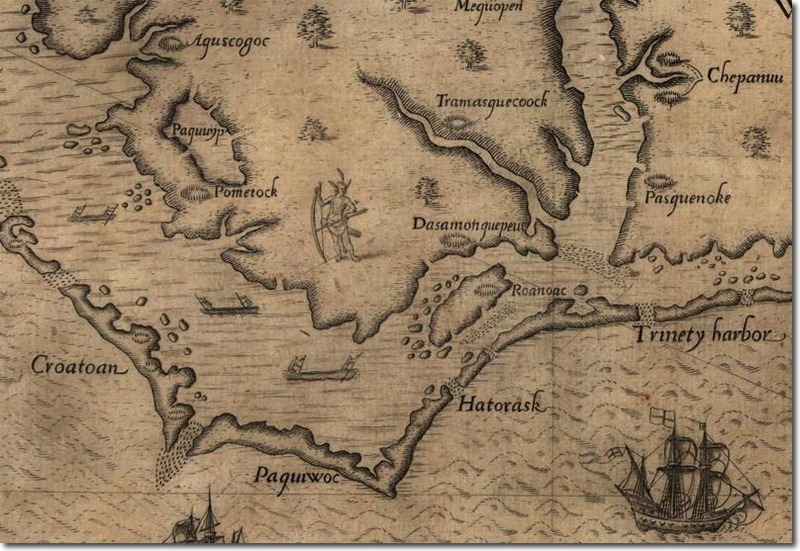 The mystery of Roanoke and its vanished inhabitants remains unsolved to this day, An enduring mystery with clues pulling the search in many different directions. Join us for the full scoop on Into The Portal via Apple Podcasts, Spotify or your favorite podcast platform for a historical mystery steeped in the conflicts between the indigenous populations, warmongering privateers and the political ambitions of the Spanish and English crowns.